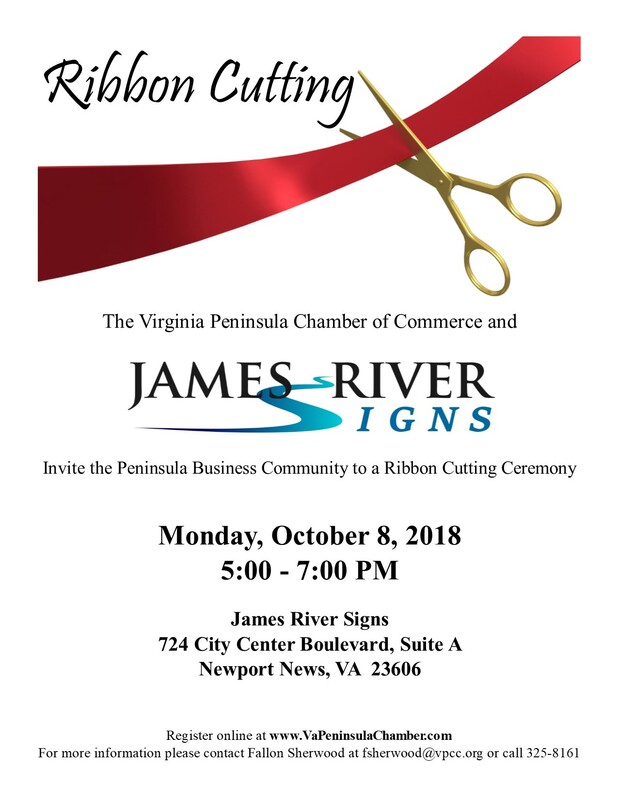 James River Signs will be holding its Grand Opening and Ribbon Cutting on October 8, 2018 from 5:00 - 7:00 PM. Join them for some refreshments as you look around their new office and warehouse. They will be giving out several door prizes! Stop by anytime from 5:00 - 7:00 PM. They look forward to seeing you.